From Penn State University — Managing bacteria and other microorganisms in the body, rather than just fighting them, may be lead to better health and a stronger immune system, according to a Penn State biologist. 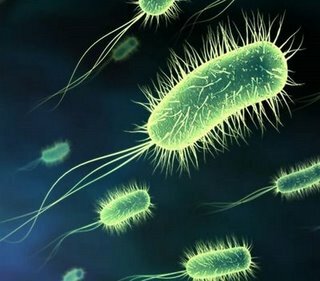 While the role that some bacteria play in aiding digestion is better known, microbes assist in improving body functions, including strengthening the immune system and responding to injuries. In some cases, attacking pathogens can harm the beneficial effects microbes have on immune system, according to Harvill. For example, patients on antibiotics have an increased risk of contracting yeast infections and MRSA. “Viewing everything currently considered immunity, including both resistance and tolerance, as aspects of a complex microbiome management system that mediates interactions with the sea of microbes that surround us, many of which are beneficial, can provide a much more positive outlook and different valuable perspectives,” Harvill said. The system that includes bacteria and other microbes in the human body, or the microbiome, is much larger and more integrated into human health than most people suspect, according to Harvill. “The human body has 10 times more bacterial cells than human cells,” said Harvill. Adding to the complexity is the adaptive capacity of the human immune system. The immune system can develop antibodies against certain pathogens, which it can reuse when threatened by future attacks from the same pathogen. Harvill, who described his alternative viewpoint in the latest issue of mBio, said that some researchers have not yet accepted this broader approach to the immune system. Other researchers who study plant and nonhuman biology are already starting to embrace the concept. For example, plant biologists are beginning to recognize that viruses can help plants resist drought and heat. “Within nonhuman immunology, this is not an alien concept because they have seen many examples of beneficial relationships between the host and its microbial commensals,” Harvill said. Harvill said adopting this new perspective could be the first step toward new medical treatments. The National Institute of General Medical Sciences supported this work. Thank you for your comment! Bit by bit we are trying to bring reason to the world.